We believe in the gospel (good news) of the death, burial, and resurrection of Jesus Christ, as applied to one's life by repenting of their sins, being baptized in Jesus Name for the remission of their sins, and being filled with Christ's spirit (baptism of the holy spirit), evidenced by speaking in other tongues. The following scriptures are the foundation of our beliefs. Pentecost – What is it? Pentecost is not a denomination. It is a "new birth" experience! It is Christianity relevant in today's world. The people referred to as "Pentecostal" simply believe, teach, and receive all that transpired on the birthday of the church...@ Pentecost, 33 A.D. The Spirit came upon the waiting and praying disciples in an overwhelming manner. Their complete commitment to Christ and His commission evoked a mighty baptism of God's power. This was evidenced initially by their speaking in tongues (Acts 2:4). The Spirit was resident in their lives from that moment. The Spirit-filled early church witnessed many outstanding miraculous happenings (Acts 3:1-7; 4:31). They were able to lead victorious lives as a result of their Pentecostal experience. Two baptisms were disclosed on the day of Pentecost. There was a baptism in the Holy Spirit, and in the Apostle Peter's message that followed, water baptism in the name of Jesus Christ was commanded (Acts 2:38). This outward, physical baptism mysteriously merges with that of the Spirit, and is the "one baptism" referred to in Ephesians 4:5. This is what Jesus told Nicodemus was the "born again" of water & spirit experience. John 3:3-7. And how wonderful to be born into the family of God. Changed, transformed, and made a "new creature in Christ Jesus". There is a Pentecostal church near you that embraces these basic Christian truths and experiences. 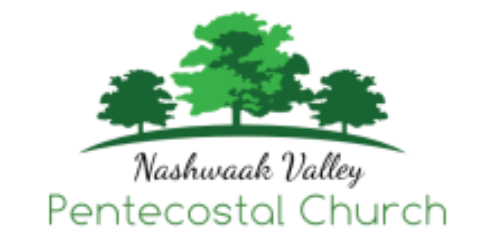 Just enter "Pentecostal Church" in the Google search engine and you will find one close to you. 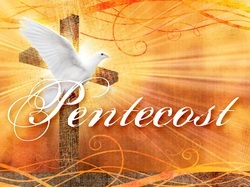 You owe it to yourself to attend and to see what Pentecost can really mean to you!